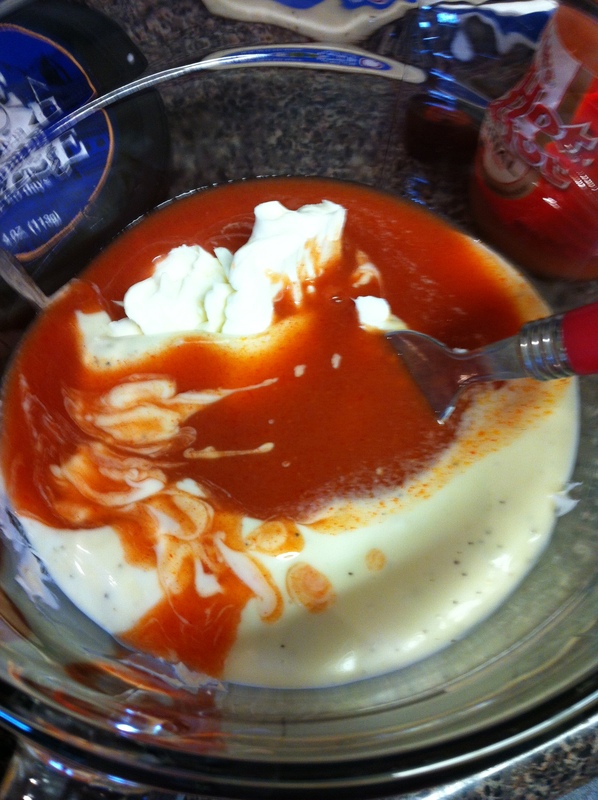 First mix up some cream cheese, ranch, and buffalo sauce. 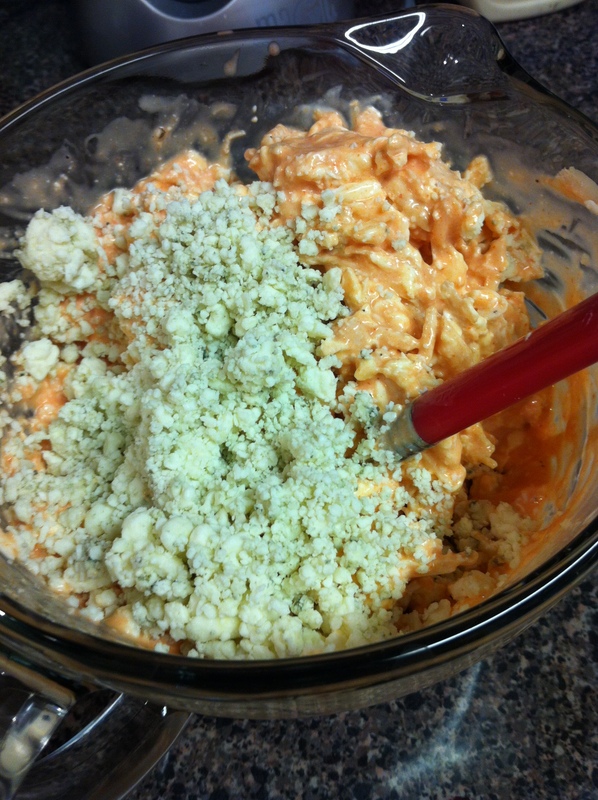 Stir in some shredded chicken and blue cheese crumbles. 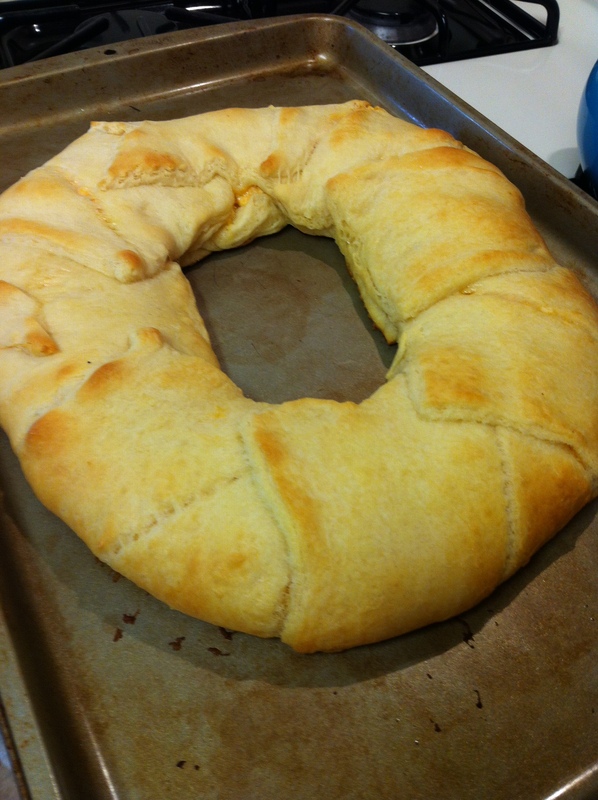 Spread the crescent rolls (two combined in a rectangle) in a ring so the bottom is connected, then scoop the chicken mix around the ring, and pull the crescent rolls around and seal the ring. 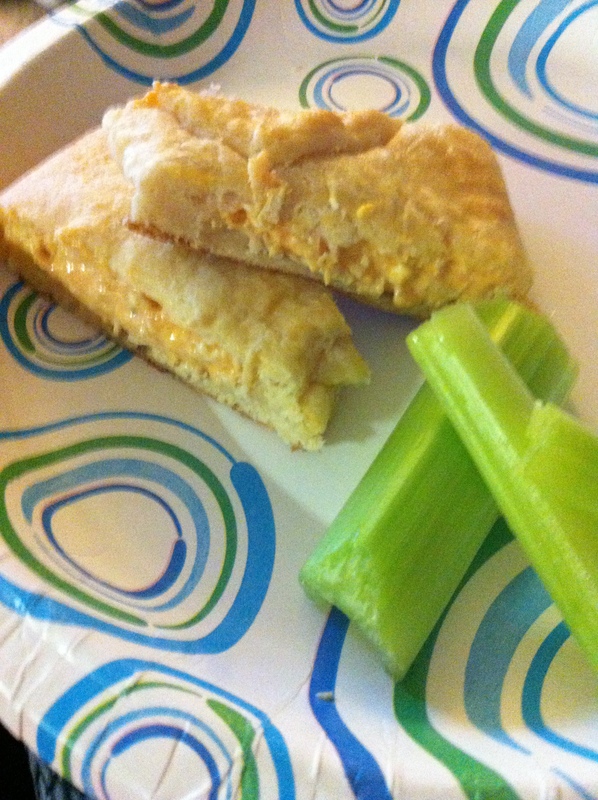 I apologize for not having a picture of this but I got really excited about making it (let’s be honest, I just really wanted to eat it and the prospect of blue cheese and buffalo sauce so I forgot…). Bake in the oven until golden brown and delicious. 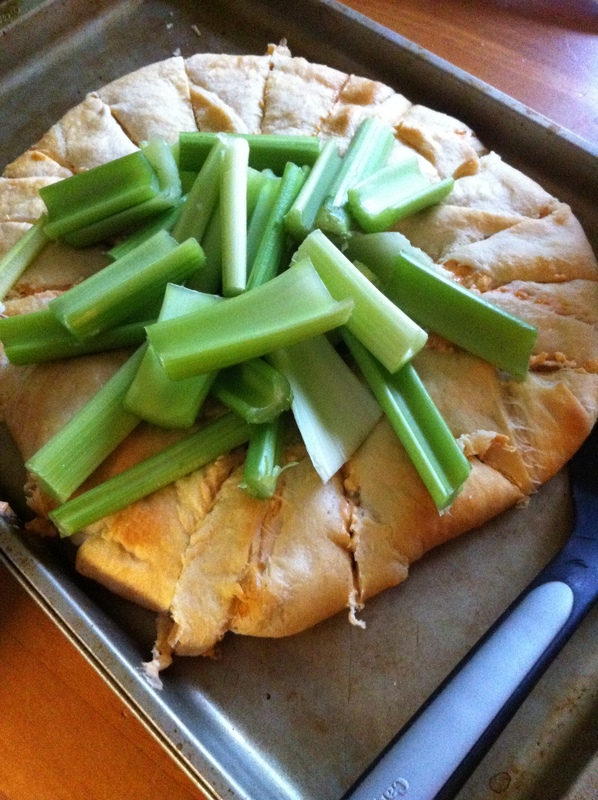 Let it cool for a little and serve with celery in the middle. 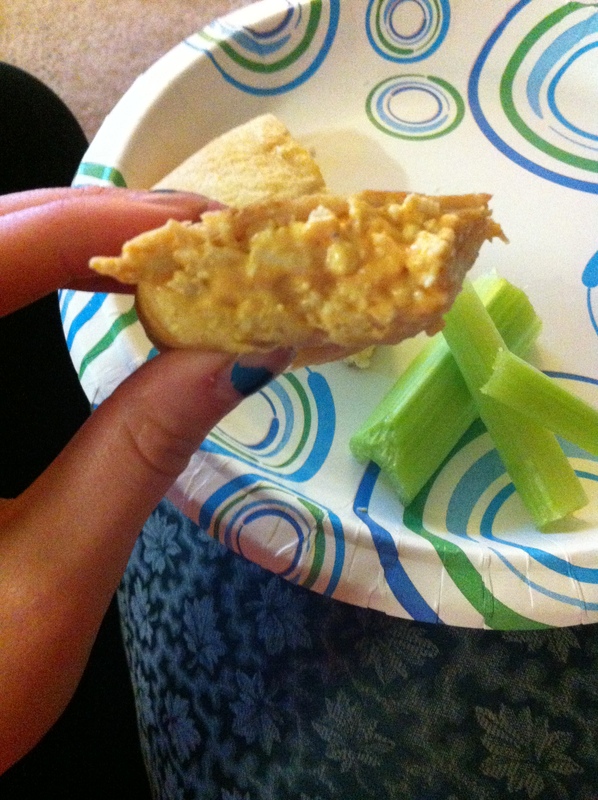 Cut in wedges and serve, yummy!